Here's my view from close up. President Gul, widely considered the only Turkish leader capable of challenging Erdogan, began taking questions on when he might re-enter politics an aide slipped him a note with the latest news of the attack. With a resigned and sad shake of his head he acknowledged the note, and told the assembled group that he had just learned of an attack in Ankara, hoping and praying it would have minimal causalities. His response sounded like that of a politician not considering retirement but also not willing to challenge the front-runner—a Turkish Joe Biden. Tragically, the attack left over a 100 dead and hundreds more injured just three weeks before national elections leaving his country on the verge of a full-scale civil war. Once back in the U.S. and listening to the first Democratic Presidential Debate, it was as if this seismic attack had not happened. Though Syria figured prominently, there were few concrete answers and no reference to the challenges lying ahead for Turkey. If anything, Syria was merely a pretext to discuss Russia’s dramatic entrance into the conflict and how candidates would address this seeming challenge to American leadership. What was missing from the conversation was that Russia’s involvement has left both the Kurds and Turkey feeling more isolated than ever before—despite both being necessary to defeat the self-proclaimed Islamic State. In such a gloomy scenario was there any room for hope? Sitting next to President Gul, all of us intently listening to a discussion on transatlantic security challenges while monitoring the latest news, felt reassuring—and leads me to have a cautious optimism. But not for the reasons you may think. Unlike before the “Arab Spring,” where Turkey was seen as a rare Muslim-majority tolerant democracy, the dour state of affairs today have now exploded into the open intertwined with regional factors and could come to a head on November 1 in the voting booths. It would be a mistake to not forcefully defend Turkey’s democracy through free and fair elections, freedom of the press, and individual rights that have suffered in the last few years. But, it would be equally misguided not to seize the opportunity to embrace a traumatized Ankara. And it is this opportunity that stokes my optimism. While it may appear that authoritarianism is on the rise at the expense of weakened and seemingly feckless democratic leaders, it is important for the West, and particularly the U.S., to fully embrace Turkey—not just through security guarantees but through more active commercial and economic diplomacy ahead of the G-20 summit that will be hosted in Turkey in just over a month. Meanwhile, Turkey’s own Kurdish problems at home have been exacerbated by tensions with the U.S. over how to best utilize Kurdish forces on the ground in Syria to defeat the common enemy of the Islamic State. Do not let this distract, though. Turkey’s four decade long struggle with the PKK has overshadowed all of the progress made for Kurds in Turkey and this should be viewed against the backdrop of a pro-Kurdish party on the domestic scene that, for the first time, seems to offer genuine hope of a political compromise instead of a senseless cycle of violence within the country that has been tried before. 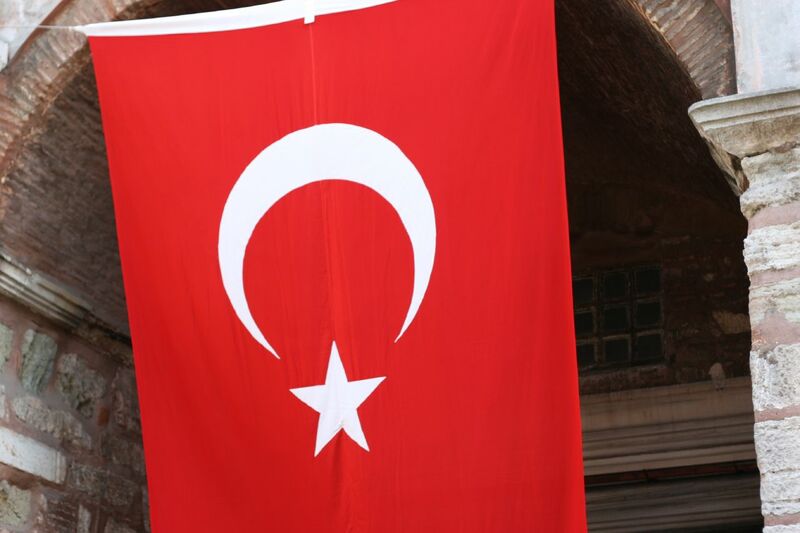 Words of friendship and support are nice, but they are not enough for Ankara today. A full embrace of this difficult NATO ally has never been more necessary from Washington. This begins with ironclad, unambiguous security guarantees about Turkey’s sovereignty and its right to defend itself against any external forces--namely Russia with its egregious airspace violations. It continues with a redoubled international humanitarian aid effort for Syrian refugees and counter-terrorism cooperation centered on Turkey beginning at the G-20 Summit next month, a point of tremendous pride for the Turkish people. It also includes a serious conversation about how to include Ankara in the TTIP negotiations and strengthen a shaken Turkish economy with a new government post elections. Since the breakup of the Ottoman Empire, Turkey’s entire neighborhood has struggled with its multiple identities and national borders. Working with its Arab neighbors and being supported by Europe and the United States to act against ISIS will further anchor Ankara in its transatlantic partnership and offer a proactive way forward opposed to its current reactive exchanges. Whether or not the Ankara bombings will be remembered for the way in which Turkey and its friends rallied together to provide a clear alternative to the cycle of violence or it is another sad milestone in a series of terrorist attacks destroying the region will be critical. Leaving Turkey this time was harder than any prior given the sheer trauma suffered by my adopted homeland. Even as the country observed national mourning with flags at half-mast, fingers were being pointed. While many commentators with me on 10/10 began referring to the Ankara bombings as “Turkey’s 9/11,” I haven’t seen the same headlines or unity that would make everyone collectively declare the day after “We Are All Americans.” Turkey has continually proved its critics wrong and inshallah Ankara will be no exception. Joshua W. Walker, Ph.D. (@drjwalk) is a Transatlantic Fellow at the German Marshall Fund of the United States and a former Senior Advisor at the U.S. Department of State who has worked extensively on Turkey.